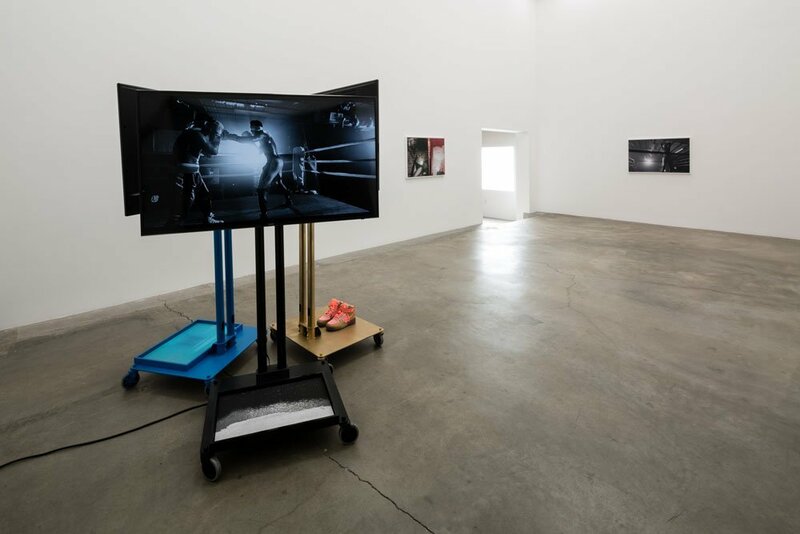 Anat Ebgi Gallery is pleased to present If She Hollers, a solo show of new video, photography and installation works by Jen DeNike. 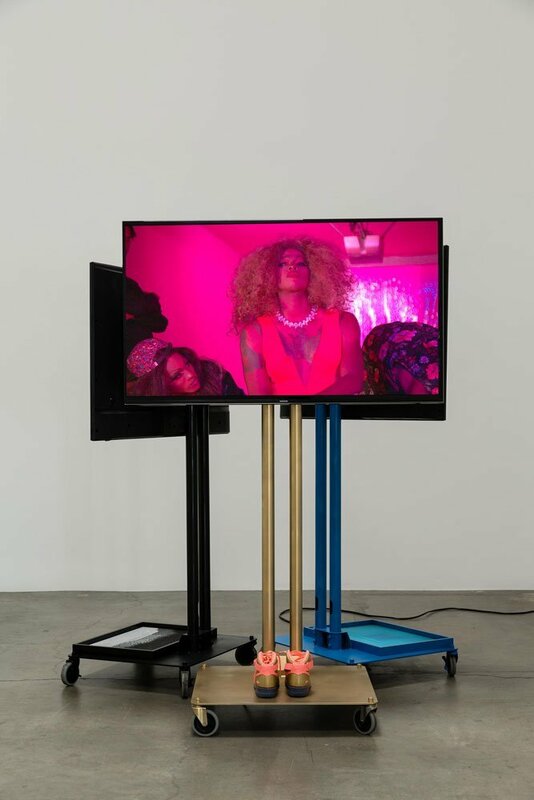 Mining Hollywood filmic archetypes and the cult of masculinity, Jen DeNike presents a series of three vignettes that challenge static notions of gender, race and sexuality. Taking the exhibition name from Chester Himes’ 1945 novel If He Hollers, Let Him Go, DeNike traces the motivations of Himes’ protagonist who fails to find a more tolerant and accepting society in the Californian idyll. DeNike expands on this sense of lost paradise in her new body of work, with characters confronting the limits of gendered roles and struggling to transform themselves in settings laden with thematic significance. 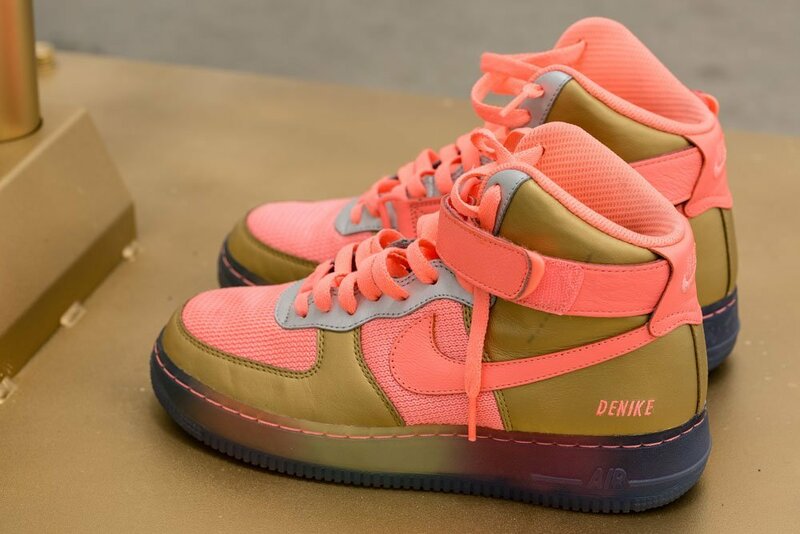 Navigated through her distinct cinematic gesture, DeNike’s character motifs allude to fixed notions of gender-racial narratives: the spectacle of male physical power, the ambiguity of gender and the thresholds of self-transformation. 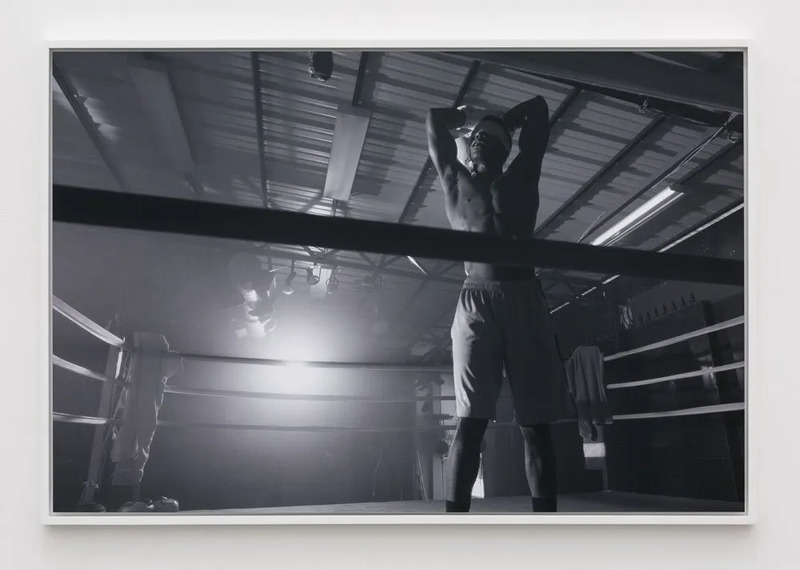 The unfolding narratives occur within the coordinates of a boxing ring shot in black-and-white, a pimped out garage turned reality TV catwalk and poolside vistas; settings of physical altercation, warrantless interloping and musing self-expression. Yet while DeNike’s settings are extracted from familiar cultural references, her characters are shown in forms of confrontation against the backdrop, seeking to transform themselves outside their immediate physical presence. The show’s three protagonists “The Boxer”, “The Cat” and “The Pimp” interweave elements adapted from references ranging from Joe Lewis to Alice in Wonderland and RuPaul’s Drag Race. 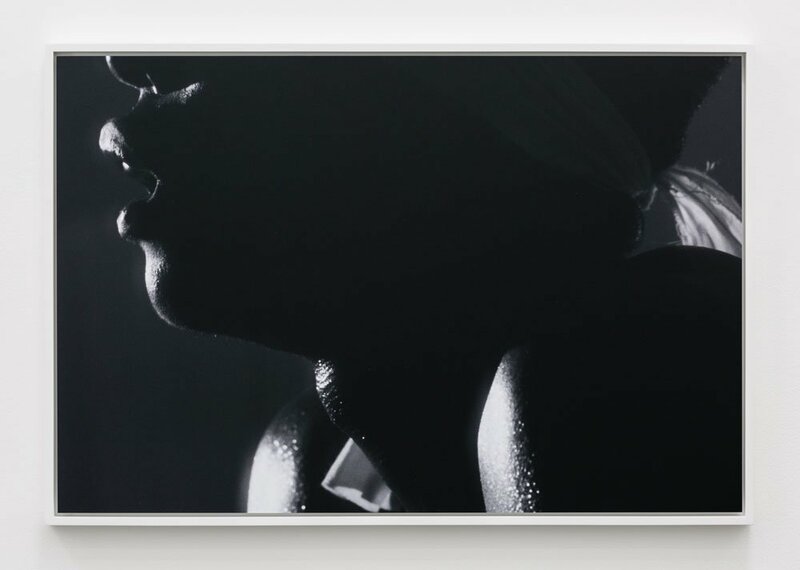 While these references merge elements of race, gender and mass media, DeNike seeks to question these images and the inherent complexities of their portrayal. 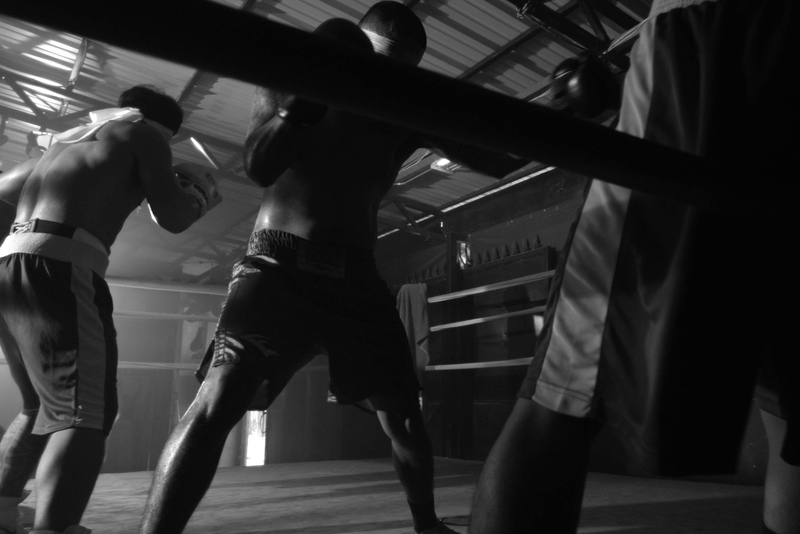 In “The Boxer”, the camera’s fixation on his sinewy, exhausted physique exposes the fantasy of an invincible masculinity through the body undergoing transition from the combat of the boxing ring to the idleness of a resting pose. While the boxer functions as a spectacle of masculine power, “The Pimp” displays the performative nature of gender expression as he takes on the role of the drag queen Jori <3. 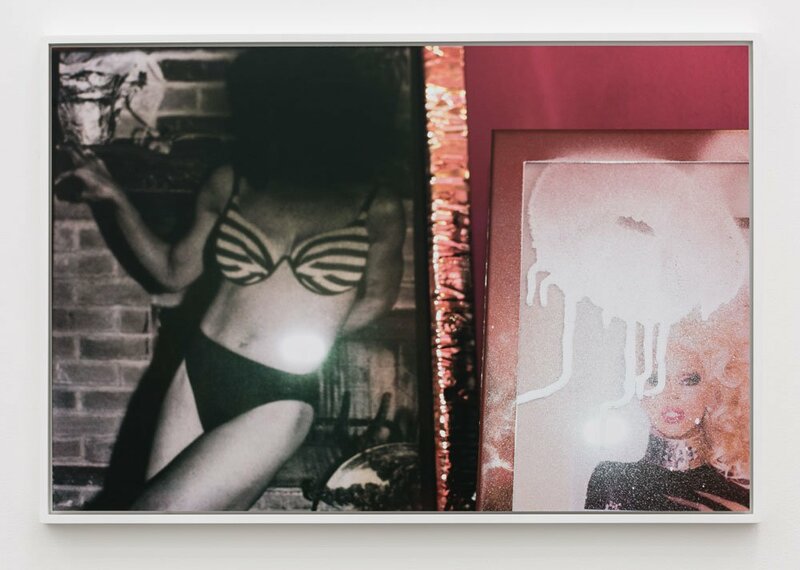 Her self-transformation becomes expressed through ever-greater displays of her own whimsy until she defiles her den by spray painting it with black hearts. This act of self-effacement acknowledges that she may only become herself once she seeks to transcend beyond her projected reality of moving images. 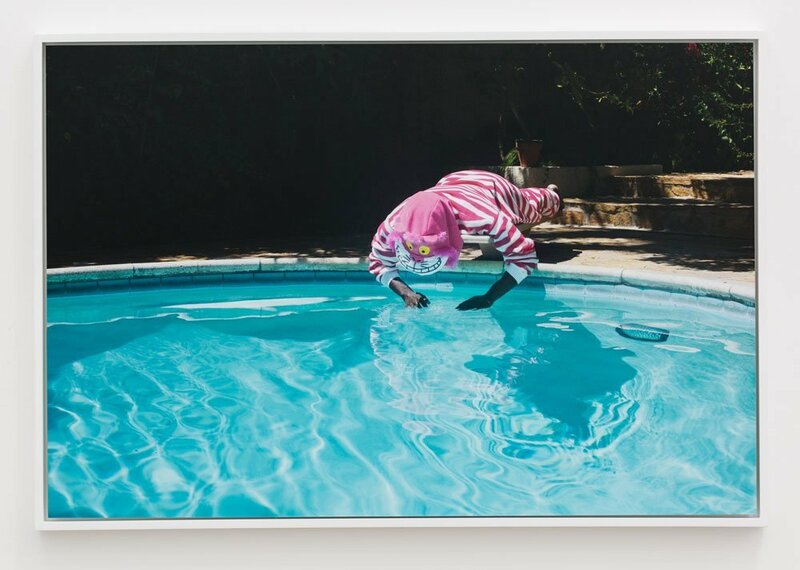 This tension between the projected self and the other is further explored in “The Cat”, as it follows an ambiguous character dressed as the Cheshire Cat meandering through nine backyard pools in Los Angeles, eventually confronting his doppelgänger. The “Cat”, both as actor and performer, is a poolside symbol of ceaseless deviation, a foil of both leisure and desire in a Los Angeles of vacillating aspiration increasingly untethered from reality. 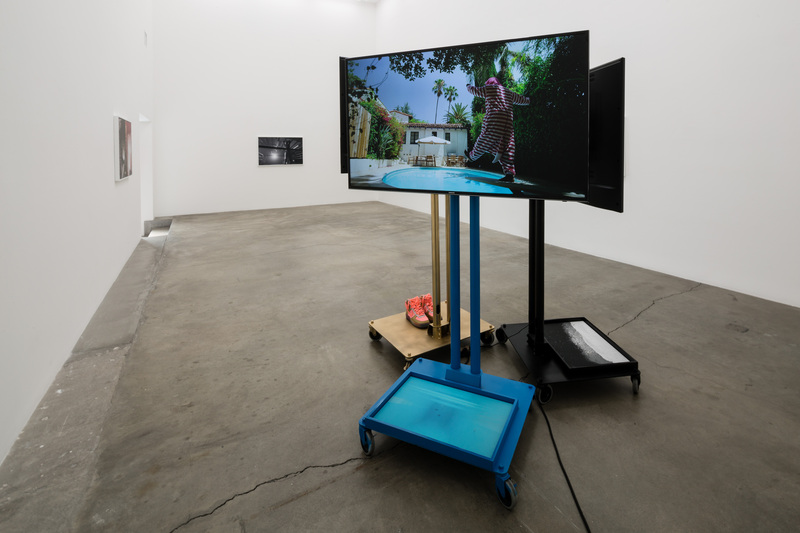 Caught within the double-bind of situational context and dissonance, DeNike’s protagonists depict subjects in transition, set adrift in the psychogeography of Hollywood projection. Only with the embrace of the mysterious logic of the transition can the figures become themselves, transcending beyond merely moving images. Jen DeNike lives and works in Los Angeles and New York. She received her MFA at Bard College and also completed a Master Class with Stephen Shore. Her work has been exhibited internationally in galleries and institutions including MOMA, Eastman House, 54th Venice Biennale, Garage Projects Moscow, Palais de Tokoyo, MOMA PS1, KW Berlin, Faena Art Center in Buenos Aires, Julia Stoschek Collection, Kunstlerhaus Stuttgart, Zendai Museum of Modern Art, Shanghai, Cobra, Netherlands, MOCA Toronto, MACRO ROMA, Madre Museum, Palace for the Arts, Naples, Tensta Konsthall in Sweden, Site Gallery in England, Hessel Museum of Art and the Long Beach University Gallery. 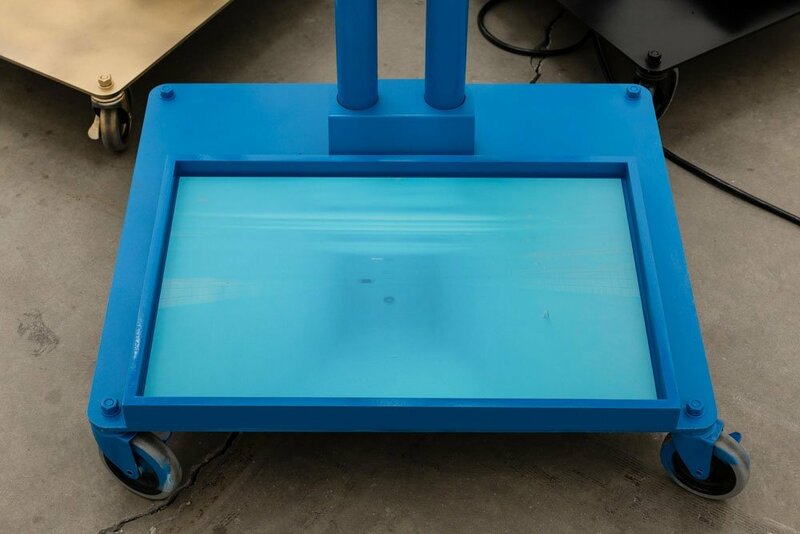 Commissioned projects and performances have included Creative Time, LAND Los Angeles Nomadic Division, Miami Art Basel Art Public, Grey Area, Performa Biennial, Chris Bicalho Collection performance sponsored by Brazilian Vogue & Christies for the Sao Paulo Biennial and PopRally MOMA. Her work is in the permanent collection of Julia Stoschek Collection, Il Giardino dei Lauri Collection and The Museum of Modern Art. 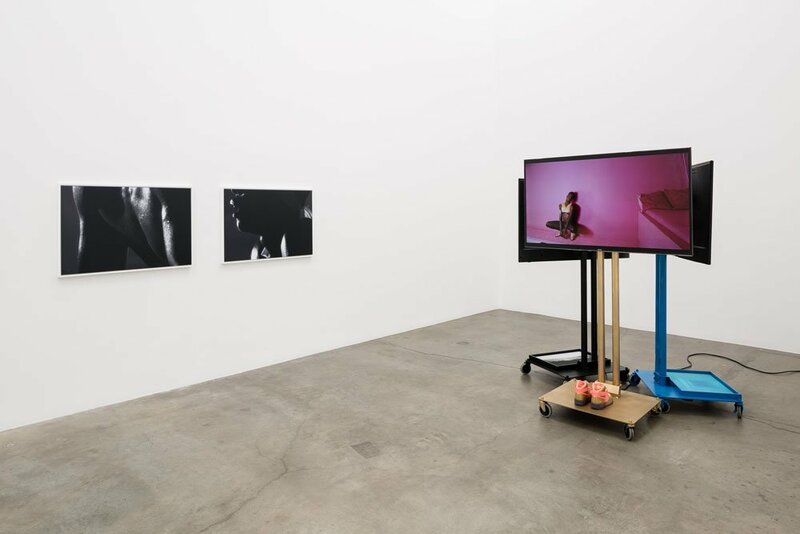 Andrew Berardini, “Jen DeNike: If She Hollers,” ArtReview, January / February 2016. 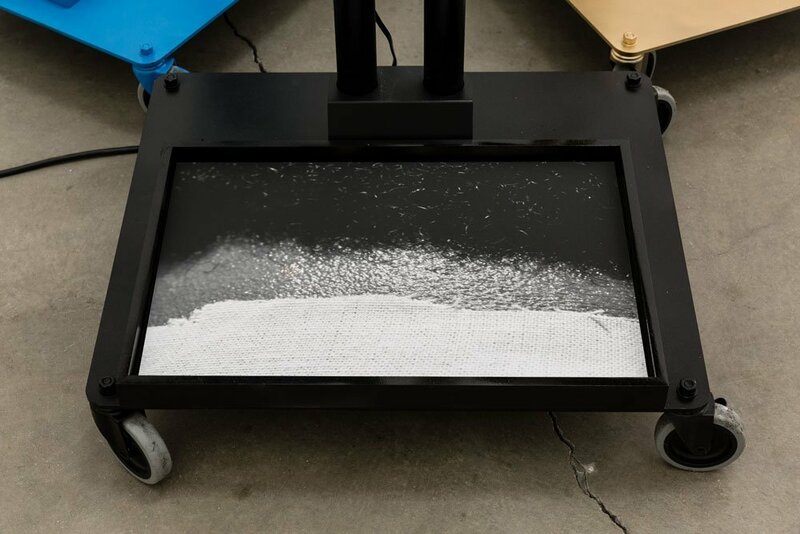 Alicia Eler, “Jen DeNike: Masterful Modern-Day Myths,” CraveOnline, December 29, 2015. “Jen DeNike @ Anat Ebgi,” 2-Times, December 10, 2015. 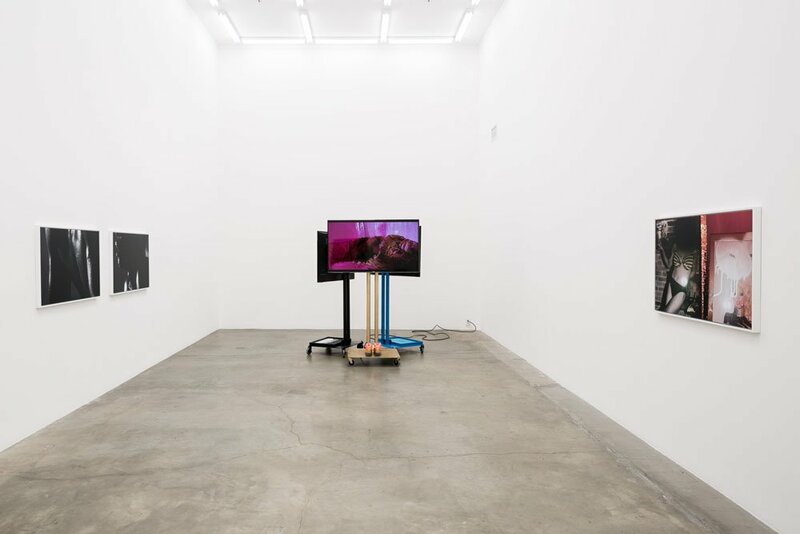 “Jen DeNike @ Anat Ebgi Gallery,” aqnb, November 11, 2015. 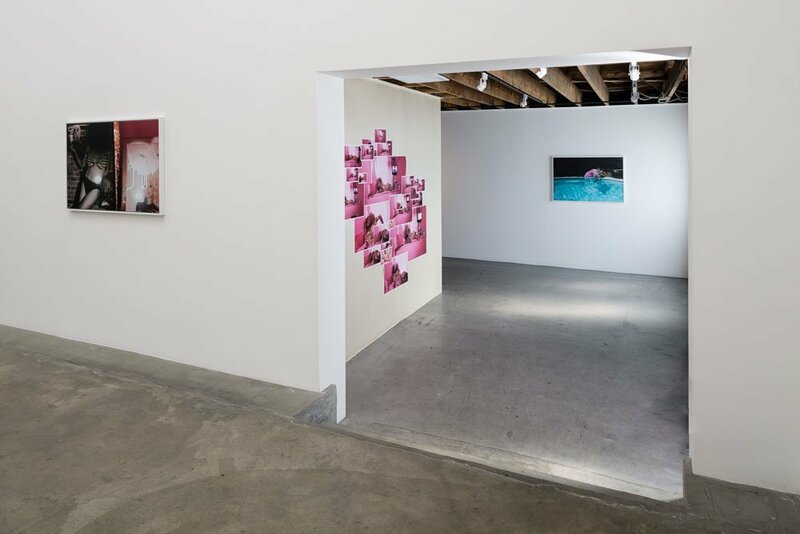 Marieke Treilhard, “All-Female Cast,” Artillery, November 3, 2015.